Pasturas Los Alazanes is proud to offer Purina Swine Products. 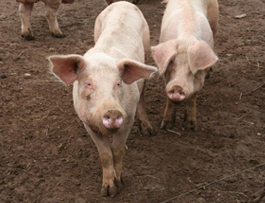 Research-proven, high quality feeds and innovative technologies are the heart of our swine feeding product line. Purina assures producers high quality feed and nutritional products for pork production. We also carry Golden Oak brand Swine Feeds.